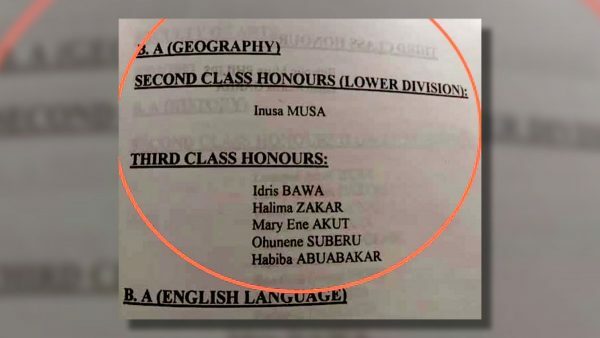 Despite the fact Ahmadu Bello University Vice Chancellor, Prof. Ibrahim Garba said Senator Dino Melaye graduated from the institution in 2000, it has been uncovered that the Senator’s name is missing from ABU’s 29th graduation list. Recall that allegations were flying that Melaye did not graduate from the Ahmadu Bello University, Zaria. Following the allegation, examination officers at the school claimed he graduated with a third class degree from the university. 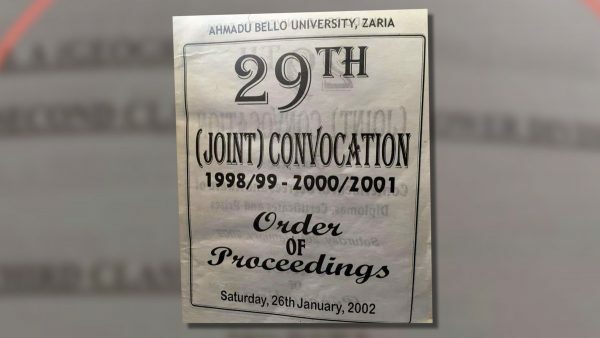 However, in the latest development, a copy of the Ahmadu Bello University, Zaria 29th graduation list has been obtained. 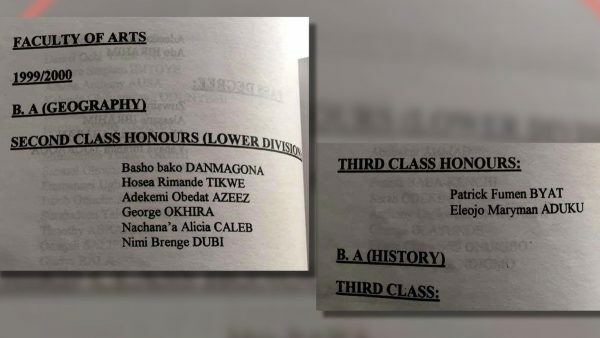 The graduation list obtained for the year 2000 however showed Dino Melaye’s name missing. 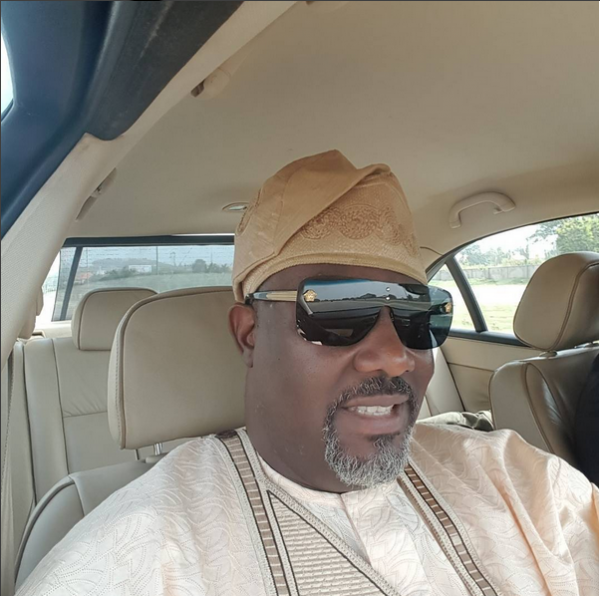 0 Response to "Dino Melaye’s Name Missing From Ahmadu Bello University’s 29th Graduation List Of 2000"